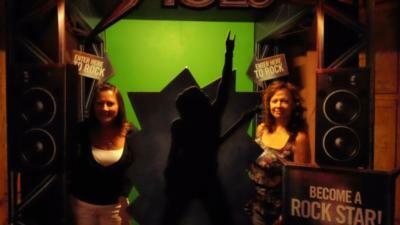 We would like to introduce ourselves, we are BET-TER Karaoke/DJ Sounds. We are Sisters, Betty and Terry who grew up in Baltimore County/Anne Arundel County and have lived in these areas all of our lives. 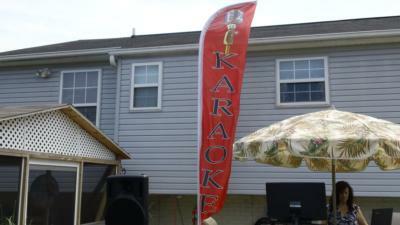 We have enjoyed Karaoke for over 25 yrs. We started our Karaoke/DJ business a few years ago. We have experience in music for parties which include graduations, birthdays, Irish parties, weddings, etc. We provide a laser light show and music with over 40,000 Karaoke songs and over 20,000 Top Hits to cover all genres for Karaoke and DJing. We use a computerized program, cordless microphones, backdrops for pictures, professional equalizing system for an ultimate sound experience. We really bring a party atmosphere and memorable experience that people love!!! We always like to get a group of people up there to sing a few and it adds to the fun for all!!! Hope you take us into consideration! It was wonderful party, they were very professional they looked great. They asked me for a song list prior to the event which I never got around to supplying that was on me but their song choices were right on to what we were looking for. Their light show was amazing and their interaction with my guests was a lot of fun. We couldn't of asked for anything more, it was fabulous!! We will definitely hire them again. Thank you for an awesome event. Please note BET-TER Karaoke/DJ Sounds will also travel to Crownsville, Millersville, Arnold, Pasadena, Annapolis, Gambrills, Gibson Island, Glen Burnie, Crofton, Odenton, Severn, Baltimore, Riva, Fort George G Meade, Harmans, Fort Howard, Hanover, Linthicum Heights, Bowie, Davidsonville.